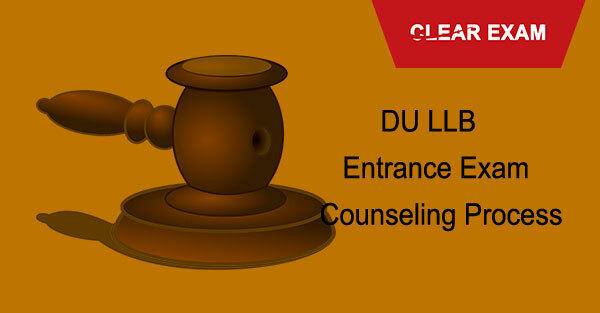 To get started with the counseling process what one must do is to visit the official DU website and there a candidate will find the page called DU LLB counseling. Find that page and go through the entire procedure of the counseling. Remember, a candidate must have registered online at the time of the application process to use those credentials to log in to the page of counseling. Now you have to use your login id and password in order to choose which college you want to take admission in and the branch and seat which you wish to reserve for yourself. Now you must wait till the authorities give you a provisional letter which will contain all details of reporting centre. On any DU portal, you can find a bank challan and then you have to pay up in any branch of the State Bank of India. It should be reiterated that students who have been selected and whose names are there in the merit list will be called for counseling and these students have to be present at the venue of counseling on the prescribed date and time. These students have to carry with them the given documents such as the point to note is that all these documents will be verified on the date on which your counseling is scheduled and failure to produce these documents on the date of counseling would mean cancellation of candidature. Now let us look at when your counseling is due if you have your name in the merit list. Let us start with the table for general category. July 18-23 and 10:30 AM to 12:30 PM. The counseling will be done offline but one has to register for counseling in the online mode. This is all information related to counseling and the schedule as well so we hope this helps when you are appearing for counseling. DU LLB Couselling 2018 process has just begin, read the post to know the complete details on DU LLB Counselling.